I've had this recipe for quite a while, and we like to make it every winter. 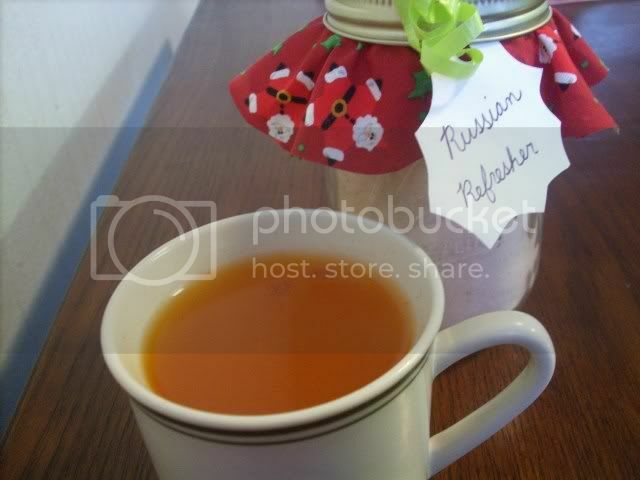 It's called Russian Refresher because it's similar to Russian chai, or tea. But this has no tea in it, it's just a spiced citrus punch that is served hot. Jeff and I sometimes like to call it Citrus Cider. This recipe makes about 3 1/2 cups of powdered mix, which you can use to make individual servings of this hot, refreshing drink. *I like to buy a larger container of lemonade mix and just measure out 3 ounces, because it ends up cheaper per ounce. Then I still have most of the container left for making plain lemonade. Combine all ingredients in a medium bowl. Mix well. Put in a 1-quart container. 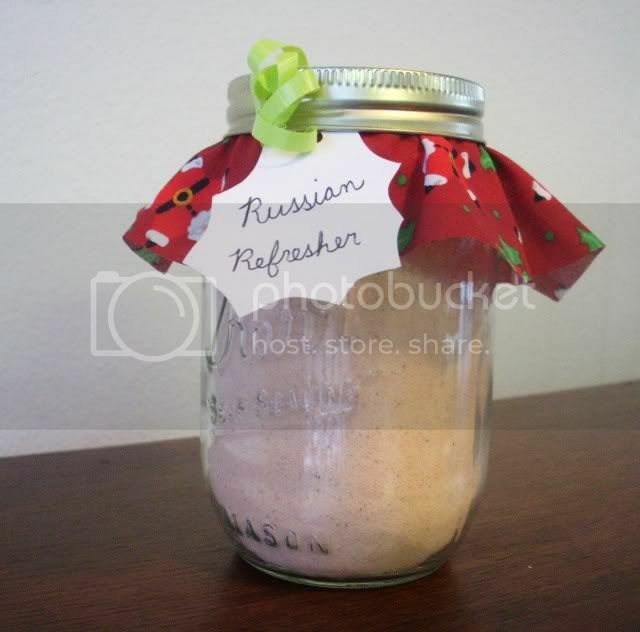 Label as Russian Refresher Mix and store in a cool, dry place. Use within 6 months. Makes about 3 1/2 cups of mix. 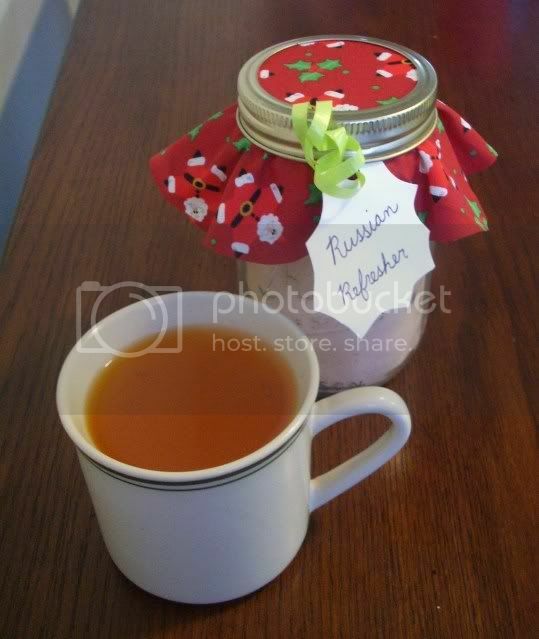 RUSSIAN REFRESHER: Add 2 to 3 teaspoons of RUSSIAN REFRESHER MIX to 1 cup hot water. Stir to dissolve. Makes 1 serving. This mix would make a good last-minute Christmas gift for neighbors or family. I also have several other gift mix recipes that make good gifts; they can be found in this post.